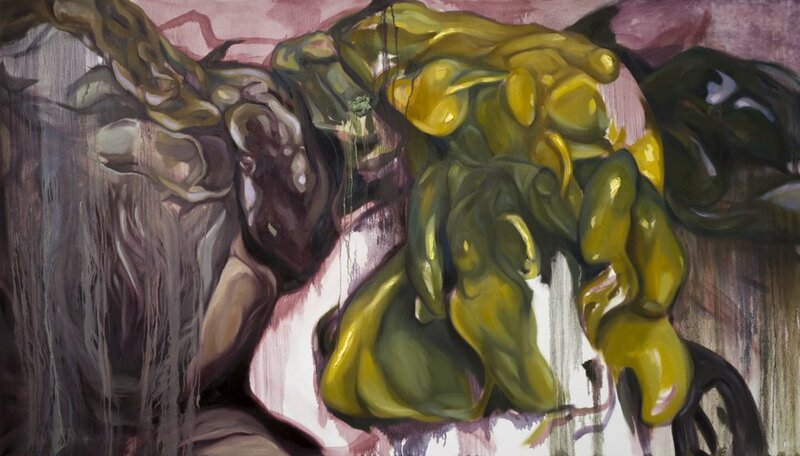 Chambers’ paintings embrace the finite nature of human existence by addressing the body in its most abject state – the corpse.In order to offer a palpable experience, a cadaver lab was visited on multiple occasions to research the deconstruction of thehuman body. The fragmented compositions depict cut bone, torn muscle, and fat gleaming with the formaldehyde solution usedin the cadaver lab. Chambers seeks to compel her viewer to engage this often shielded reality through paintings that seduce with color and teeter between abstraction and representation. Human materiality becomes accessible through the practical act of observing. Wendy Chambers is an artist and educator in Las Vegas, Nevada. She received her MFA from the University of Nevada, Las Vegasand her BFA from the University of Science and Arts of Oklahoma. Her work has been exhibited in Oklahoma,Nevada, Illinois, and California.